The event, that took it’s first steps in 2018 is planned again for May 2nd, 2019, 6 pm to 9 pm. 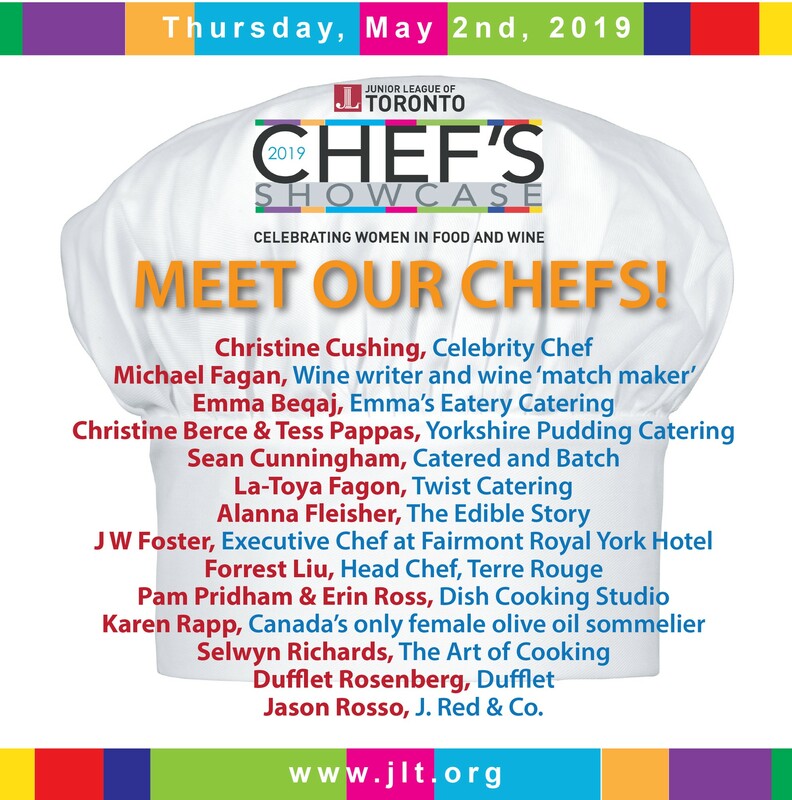 It features the opportunity to eat, drink, mingle and support the work of the Junior League of Toronto and the creation of the Junior League of Toronto Culinary Scholarship*, in cooperation with the George Brown Foundation! The event is being held at The George Brown College Centre for Hospitality & Culinary Arts, 300 Adelaide Street East, Toronto. In our inaugural year the event celebrated alumni of George Brown and it was charmingly hosted by celebrity chef, TV personality and George Brown alumni; Chef Christine Cushing. This year our focus is on “women in food and wine”, and we are lucky to have Christine Cushing back and she will be co-hosting with Michael Fagan, a renowned wine expert. We are looking for corporate sponsors to support the event and chefs to participate. About Christine Cushing: Christine graduated with honours from George Brown College before going on to finish at the top of her class at the famed Paris École de Cuisine La Varenne. 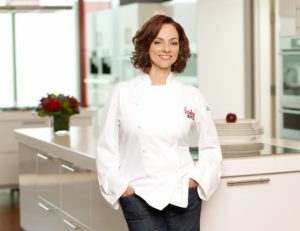 In Toronto, Christine worked at renowned kitchens such as The Four Seasons Hotel and Scaramouche before going on to the ground-breaking Food Network flagship series, Christine Cushing Live. Christine has since continued to share her love and knowledge of food on TV with Fearless in the Kitchen, the Marilyn Denis Show, and with her documentary series, Confucius was a Foodie that premiers on PBS station WNED on January 4, 2019 at 8PM. . Christine has been teaching viewers how to cook for 20 years and was recently nominated for ‘Best Host in a Program of Series’ at the 2018 Canadian Screen Awards. The busy and accomplished George Brown alumni has also created her own artisan food line: Christine’s Cushing’s olive oil and sauces. 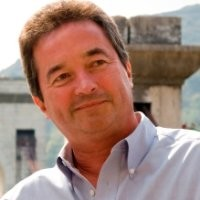 About Michael Fagan: Michael Fagan, known as “The Matchmaker” is a former columnist with the LCBO’s Food & Drink magazine. Featured on the “Discover” series (the LCBO’s Award-Winning product knowledge video series available for on-line viewing as a free podcast through iTunes and YouTube), Michael’s 30-plus years in the industry is backed by respected credentials such as the Wine & Spirit Education Trust Advanced Certificate and membership in the Association Internationale des Maîtres Conseils en Gastronomie Française. Michael and Christine have worked together on TV on both “Christine Cushing Live” (Food Network Canada) and currently on “Confucius was a Foodie” (PBS stations). Please support the chefs that have supported us letting them know that they are appreciated for volunteering their time and talent to the JLT!